Writing is a quiet job, as everything is just inside my head. Therefore, I’m ecstatic if there are readers who like the results of my writing, especially when they gave me their feedback and opinions after they read it, or reviewed my books on social media, or took some quotes from my books and enhanced them with pretty cute images. I felt so blessed when I knew that some readers created drawings, or wrote poems and/or fan stories that were inspired from my books. 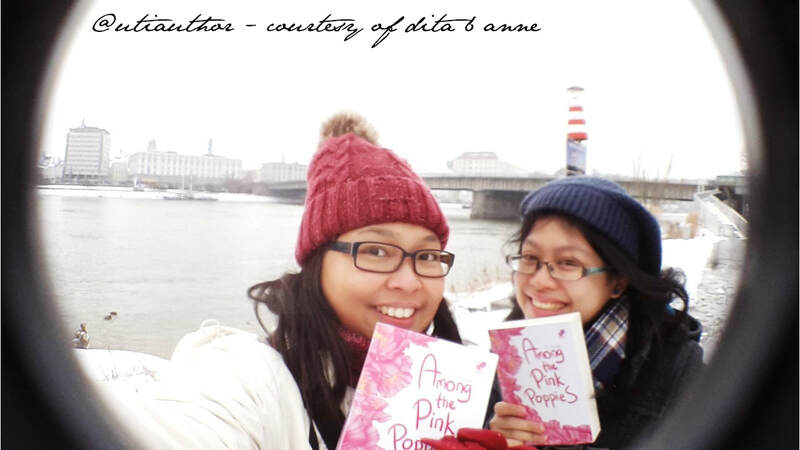 Now imagine how excited I was when two readers travelled through the Austrian snow to visit the settings of my latest novel: "Among the Pink Poppies". All at once I was perplexed, excited, amazed, touched, grateful, and humbled. I half-believed this could even be possible, but it was true! They are Dita and Anne. 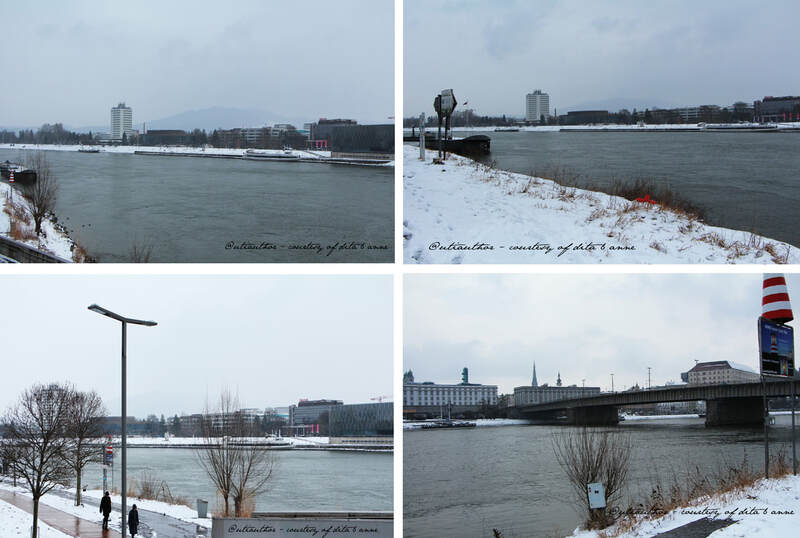 As they came to Linz on March 18th, Austria was still in the dead of winter. It was still covered in snow and keep snowing even days after they left. The temperature without the wind was minus 7, and with the wind, the apparent temperature was minus 17 Celsius. Not as cold as two weeks ago when the Beast from the East swept Europe. But still, what a day to make a journey! Even the bitter cold could not dampen their spirit. On the contrary: the more places they visited, the brighter their smiles became! Afterwards, they went to the centre of Linz, where they saw Europe’s second longest river: the Danube River. From the river’s bank, they could see the hotel where “the man of her mother's choice” stayed and took a close look at the riverside, where many summer activities took place. For sure they didn’t forget to take some photos of the “historical” bridge connecting Linz - Urfahr. I raised all my thumbs up for their persistence in taking pictures along the riverbank, with its horrible-terrible-freezing wind! Then, of course, another one of their must-stops was at Ars Electronica. Here they took quite some time to take plenty of pictures. It was really exciting because even on Sunday, Ars Electronica remained open and there were many visitors. Last stop, they went to Poestlingberg. If you already read the novel, you would remember there was a grotto full of dwarves inside this hill. 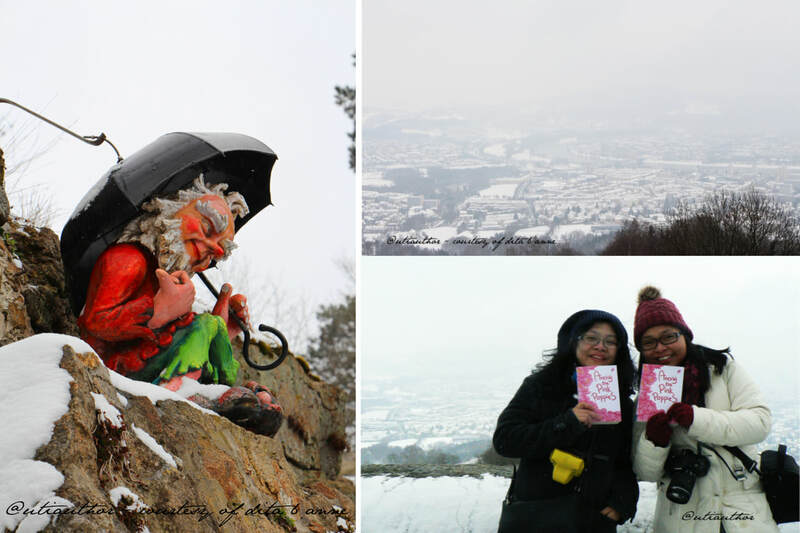 Not only that, from its platform upon the hill Dita and Anne could see all of Linz. The beautiful winter wonderland scenery summed up the end of their tour. 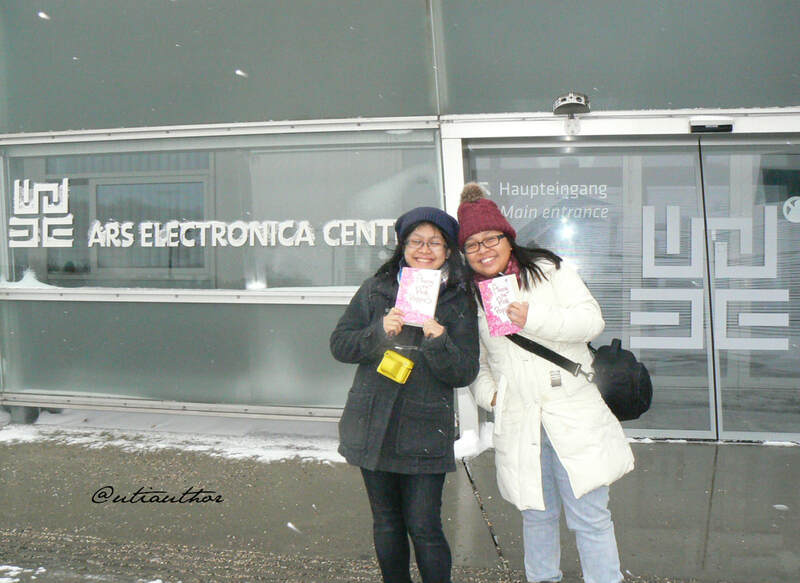 Last but not least, Dita and Anne send all of you their snowy greetings from Austria! Photos are from the private collections of Dita, Anne and me. I intentionally left out names/descriptions from the novel, as not to spoil anything for those who have not read it yet.